OMG! I'm gettin' married! Did you just get engaged? It's time to let everyone know. 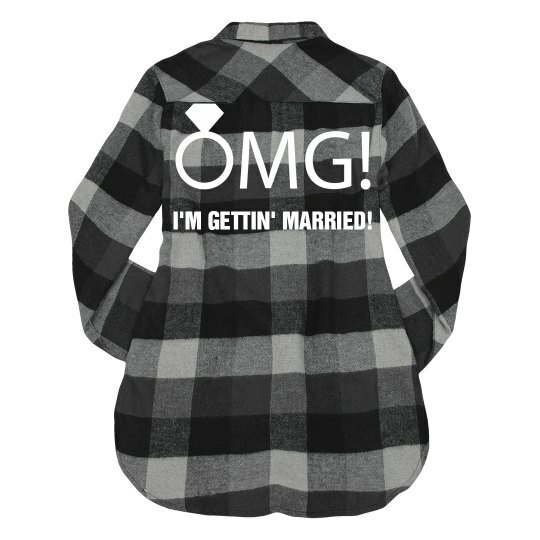 Wear this funny and cute flannel shirt to celebrate your engagement. Great for bachelorette parties too. Congrats bride to be. Custom Text: I'M GETTIN' MARRIED!